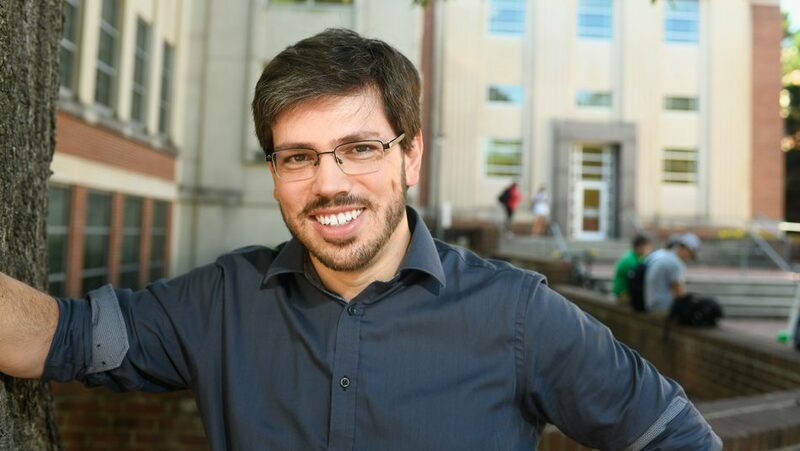 Julio Belmonte joined NC State in August 2018 as a Chancellor’s Faculty Excellence Program cluster hire in Modeling the Living Embryo. As an assistant professor in the Department of Physics, Belmonte develops mathematical models of biological processes. His aim is to understand the physical principles behind cell mechanics and how they give rise to force production and pattern formation. He uses computer simulations to study these processes at both the tissue level, looking at the formation of organs and other structures during embryo development, and at the subcellular level, asking how cytoskeletal structures and molecular motors generate the forces that ultimately shape all living things. Belmonte obtained his bachelor’s and master’s degrees in physics from Universidade Federal do Rio Grande do Sul in Brazil, where he developed a model for collective cell movements during tissue regeneration. He obtained his Ph.D. in biophysics from Indiana University Bloomington, working at the lab of James Glazier. There he developed new computational models for the description of epithelial cells and applied them to study a variety of biological processes such as somitogenesis, limb formation and cystogenesis. As a multidisciplinary postdoctoral fellow at the labs of Maria Leptin and François Nédélec at the European Molecular Biology Laboratory, he focused his research in the mechanisms of force production of cytoskeletal networks and their role in developmental processes. He developed a general theoretical framework that unified previous models of cytoskeletal behaviors and allows for quantitative prediction of contraction and expansion rates of both actin and microtubule systems. 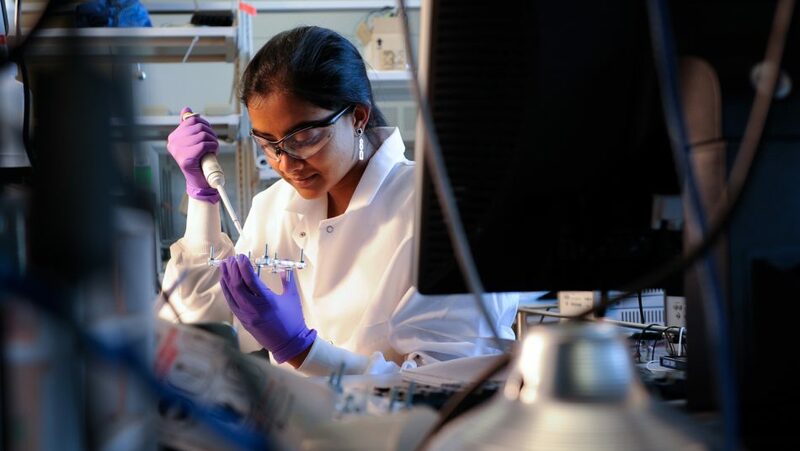 Learn more about Belmonte’s Cell and Tissue Dynamics group.